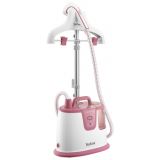 Powerful Steaming to get rid of creases STEAM AWAY CREASES QUICKLY ! 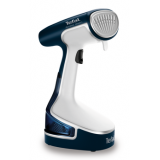 Tefal’s Instant Control IS8320 Garment Steamer smoothes out creases and sanitizes garments in a quick and efficient way. So whether you’re in a rush to get to work or need to quickly fre..
Effortless powerful steaming to get rid of creases STEAM AWAY CREASES WITH EASE ! 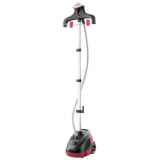 Tefal’s Instant Control IS8380 Garment Steamer smoothes out creases and removes odours in a quick and efficient way. So whether you’re in a rush to get to work or need to qu..
EFFORTLESS STEAMING DOWN TO THE LAST DETAIL With versatile and precise performance down to the last detail, Master Precision 360° Garment Steamer smoothes out wrinkles in no time, for impeccably smooth and fresh garments whenever you need them. The 360° rotative hanger lets..
A NEW WAY OF STEAMING IN THE PALM OF YOUR HAND For everyday garment steaming solutions, look no further than the palm of your hand. 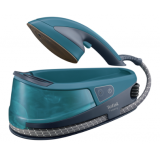 Tefal's Handheld Steamer puts convenience and fast results at your fingertips, delivering wrinkle and crease removal for a wide..
A new ironing experience for the whole family Tweeny is your new 2-in-1 appliance featuring an innovative, highly comfortable way to steam and iron. Long horizontal sessions or last-minute vertical touch-ups: take care of your clothes just the way you want with a single appliance. .. 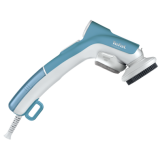 Perfect for touch ups or ideal when travelling Ideal when travelling and efficient for touch ups This handheld steamer will be the ideal tool when you are travelling or when you need to do few touch ups on your daily outfit. Thanks to its continuous and adjustable st..